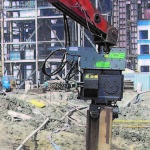 This range of hydraulic vibratory hammers is designed to be mounted directly on the dipper arm of excavators and powered by the hydraulic system of the excavator. 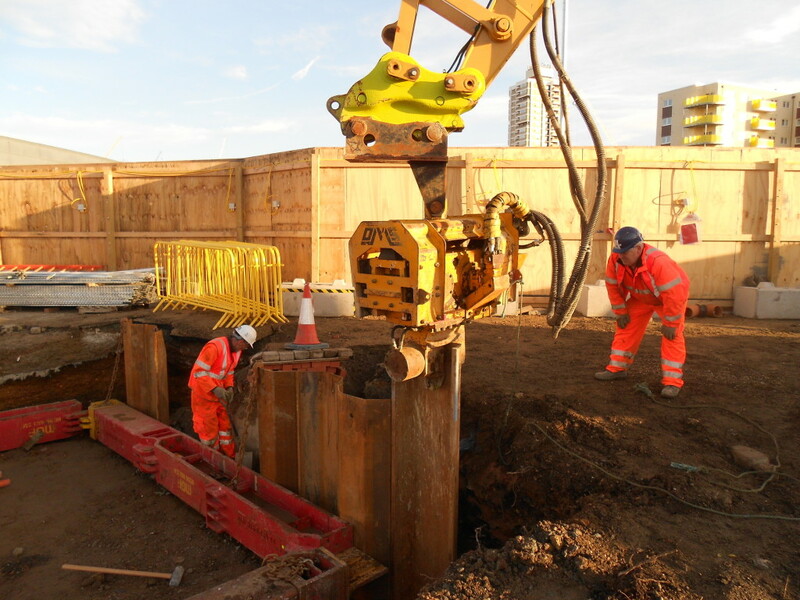 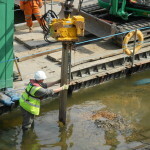 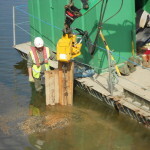 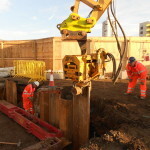 The hammer is then operated by the excavator driver, who has complete control of the piling job. 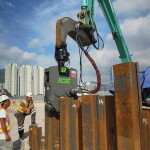 The simplicity of the operation is a key feature of these machines; the interchange from bucket or other tool to vibratory hammer is quick and straight forward, and they can be used to drive or extract piles without any modification. 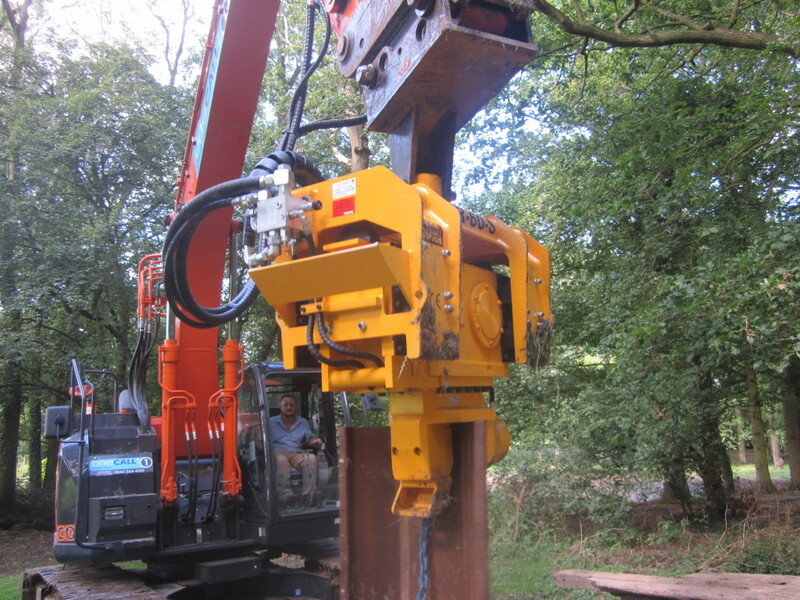 All machines in the OVR series are compact in design with low machine height providing additional sheet length. 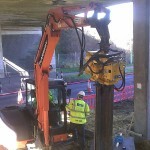 Our UK and Ireland fleet contains the following models available for hire. 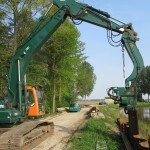 Scroll the table below to view all models. 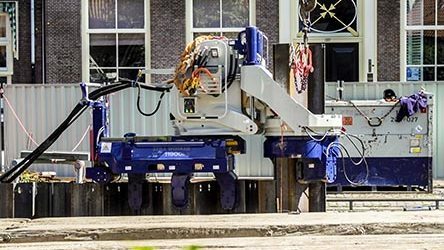 We are also an exclusive distributor for this manufacturer and can offer an extended fleet which is available upon request. 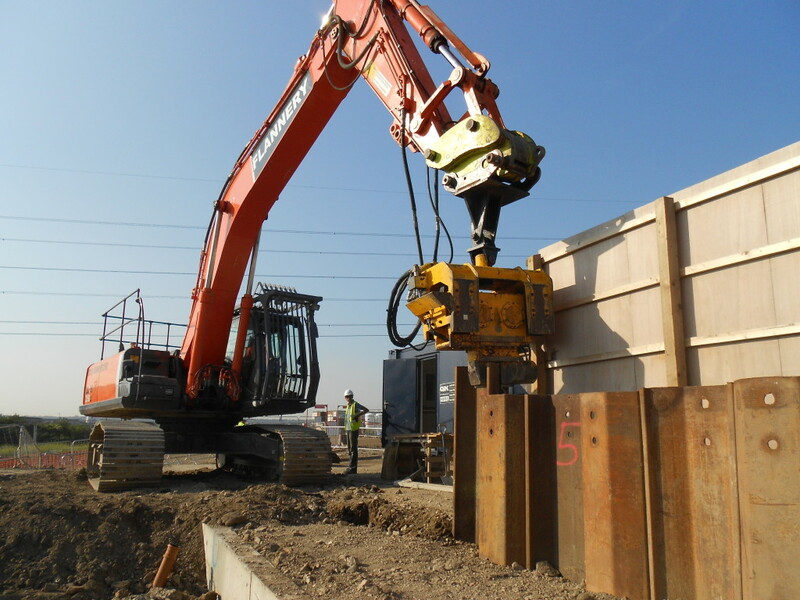 Specifically designed as pile driving and extracting attachments for excavators, these versatile piling hammers can install trench sheets, most sheet pile profiles, ‘H’, tubular, concrete and timber piles as well as CFA cages and are well suited to smaller piling jobs. 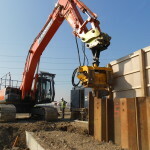 If you need advice on what is the best configuration for your project then please contact us. 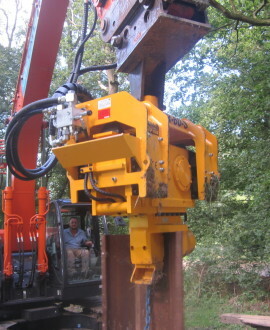 We also offer similar machines in our fleet by other manufacturers.